Cyberattacks Against United States Targets, the White House, and a Critical Presidential Declaration! The White House has been in the news over the past two weeks in reports from USA Today, CNN, NBC News, and many more sources. Officials informed NBC News (Mitchell, 2015 April) that it is believed the Russians accessed the system through State Department computers which contained private unpublished schedule of President Obama. While attribution usually takes weeks or months for the FBI’s Cyber Division to determine and publish, the sources of the attacks are less important than the objective. The objective is similar across all of these attacks; to retrieve classified information. According to former FBI official Shawn Henry and the president and CSO of CrowdStrike Services cyber-attacks occur because countries such as China and Russia have the need to look at U.S. polices, how policies are created, new initiatives that are under consideration, basically anything that these foreign countries can get that will provide them with some advantage at the next level of trade talks and collect intelligence against the US for personal gains. Healthcare organizations need to understand the criticality, reasoning, and determination for these attacks as well. When VIPs such as political or military leaders are seen or treated by their facility, or by a facility they are affiliated or networked with, their systems, networks, and data become a high priority target for foreign threat actors. 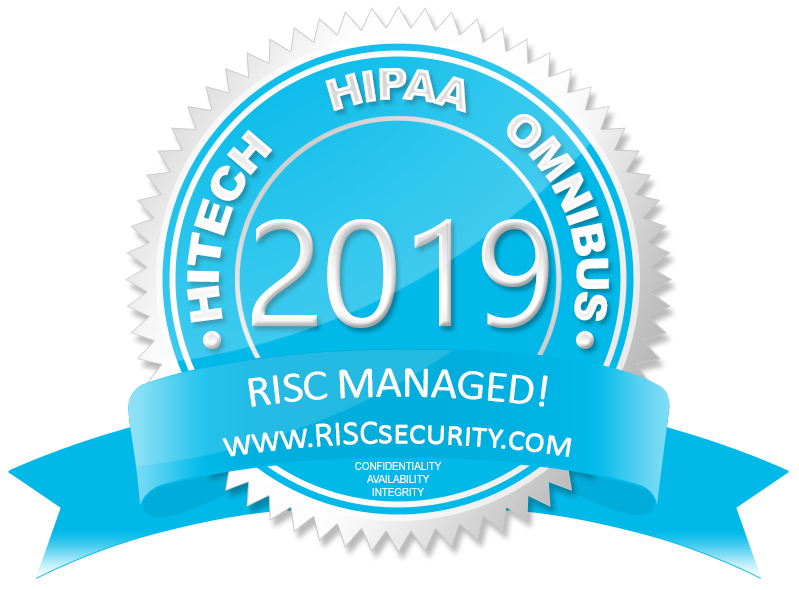 Healthcare organizations often fail to realize how important their health information data repositories are for reasons entirely Unrelated to identity theft or medical billing fraud. Basic healthcare information about a head of state, a state department official involved in a negotiations process, senior leadership in the military or a congressional committee is incredibly important to both Nation-State actors and Terrorist organizations. Healthcare providers have no idea that cyber-bullets are flying by their ears in this electronic war! Only a few months ago on January 13th, President Obama announced a legislative National Data Breach Notification standard and miscellaneous cybersecurity legislative proposals and efforts. The Executive Order should provide the U.S. government the tools needed to combat the expanding malicious cyber activities. The Executive Order enables the Treasury Department along with the Attorney General and the Secretary of State to impose sanctions on the unlawful actions created by hackers. The goal would be to freeze targets’ assets when operating in the U.S. financial system and prohibiting them from having transaction with American companies. Both Public and Government sectors must pay immediate and substantial attention to this existing and evolving threat! According to HealthIT.gov, cybersecurity is a shared responsibility. “Cybersecurity refers to ways to prevent, detect, and respond to attacks or unauthorized access against a computer system and its information.” To address the problem, the Department of Homeland Security (DHS) is collaborating with public and private partners to promote cybersecurity awareness for all internet users. It is amazing when you hear about DHS collaborating with the Secret Service and the Electronic Crimes Task Forces (ECTFs). It seems surreal and more likely to occur in the movies, but it is happening right now to regular people in their daily lives. We as a society are interconnected and willing to take the risks with technology. We enjoy the accessibility of mobile devices, checking emails, texting, sending photographs, and much more. There are many people who believes that he or she are experts in technology or savvy users. They bend the rules, use their own personal device to do work at the airport, coffee shop, and hotels. This type of person is not always concerned with using unsecured WiFi. This same person might even click on links in any email and might provide their username or password without a second thought. It is very important to be aware and educated and know when it is necessary to use a VPN for a secure remote access to email and file servers. The word encryption always creeps up. So here are some important terminology and videos to increase awareness. According to the FTC a criminal may use your name and health insurance policy number or group plan number to gain access to prescription medications and file claims with your insurance provider. In worst case scenario, the thief might even see a physician and receive care under your name. Your own health information will be mixed up with the thief with negative repercussion. You might receive the wrong medication, diagnosis, etc. There are yellow locks that would show up when the connection is encrypted with modern cryptography but the page includes other resources which are not secure. The information can be viewed by others in transit or can be modified by an attacker to change the look of the page, etc. Occasionally, I would go to my personal email account and would receive a red https with a red line through it. This typically means there might be something wrong. If this happens, don’t trust the link and close it. Start with a new tab and type the website you want. In this scenario, the criminal can use your Social Security Number (SSN) to obtain your tax refund or obtain a job. It is very important to contact the IRS if you received notice that you made money from an employer you don’t know or when you notice that there are more than one tax return filed with your SSN. The first step is to review your tax return. It is important to know that the IRS does not contact taxpayer through email, text or social media message that asks for sensitive information. If you receive this type of email, do not reply or click on any links. The thief is using an activity called phishing by posing as a legitimate company to steal your online account or financial information. The next step to take is to forward the email to phishing@irs.gov. 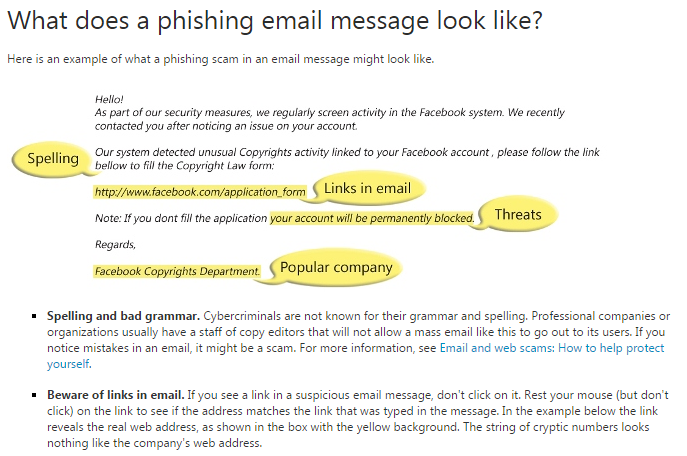 Here is a good example from Microsoft on online privacy/phishing. What is cybercrime? Cybercrime is the “illegal activities undertaken by criminals for financial gain” (Detica, 2011, p.1). If you think you have been a victim of cybercrime and your identity is stolen or you have responded to a scam, immediately change the passwords and PINs on all your accounts, and report the incident to your Credit Card Company, bank, or health insurer. You should also report the Identity theft to the U.S. Federal Trade Commission (FTC) at ftc.gov/idtheft. Scams or fraud should be reported to the FTC at ftccomplaintassistant.gov. “One out of every two adults working online has experienced a problem with cybercrime in the last year” according to David Finn (2015), Associate General Counsel & Executive Director, for Microsoft Cybercrime Center. The most important part of the report was the estimated annual cost from cybercrime to be £27bn per annum in the UK or about 43 billion U.S. dollars. Children’s SSN’s can be used by thieves to apply for government benefits, open a bank account, credit card account, apply for a loan, obtain utility service, or rent an apartment. It is very important to ask your child’s school why a sensitive information is required and how is it being stored, used, or thrown out. It is important as parents that you protect your child’s information and decrease the possibility of identity theft. Come visit with RISC and Virtual Auditor at HIMSS15 in Chicago. Hope to see you there!